Regular visitors to Drink Baijiu understand basic baijiu classifications, but our Better Know a Baijiu series aims to go deeper into specific sub-categories of baijiu. 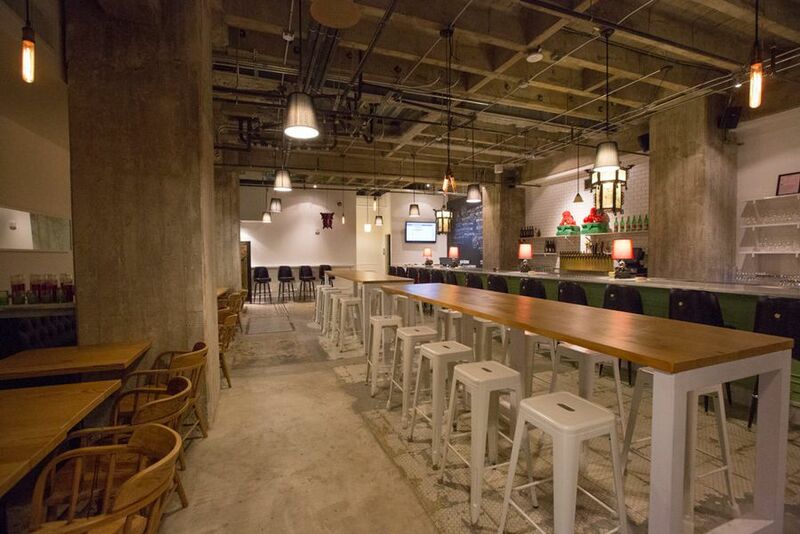 This is where you’ll learn the who, what, where, why and how of all aspects of Chinese drinks. Our first installment focuses on the most popular category of baijiu, the drink whose smell and taste are instantly recognizable to the seasoned baijiu drinker. For many, strong-aroma baijiu is the most representative liquor style in China. Strong-aroma baijiu is highly complex and aromatic. It has a fragrance reminiscent of overripe tropical fruit, especially pineapple, banana and guava, and an earthy cheese-like note deeper down. In the mouth it contains all of these flavors and a note of anise punctuated by a long, peppery finish. Different distilleries choose to highlight different aspects of the strong-aroma flavor profile in their blends, but the best strong-aroma baijius are sweet, complex and well balanced. No one flavor should outshine out the others. 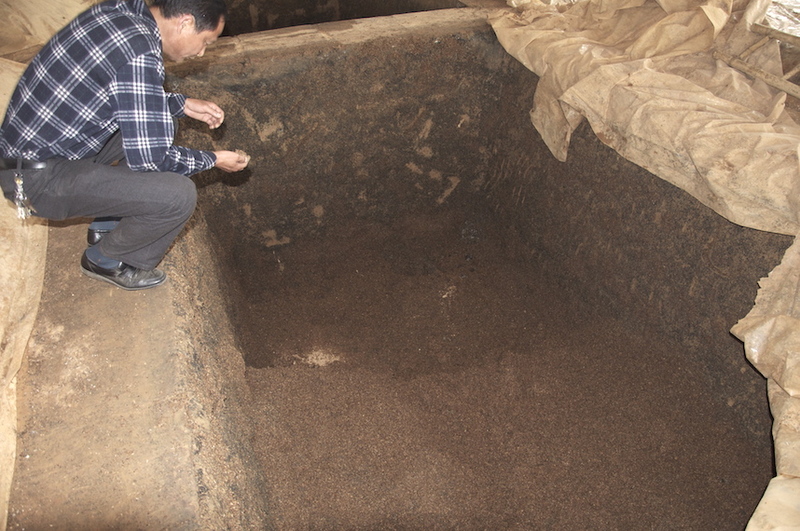 Cultivation of earthen fermentation pits and mash is the key to strong-aroma baijiu. 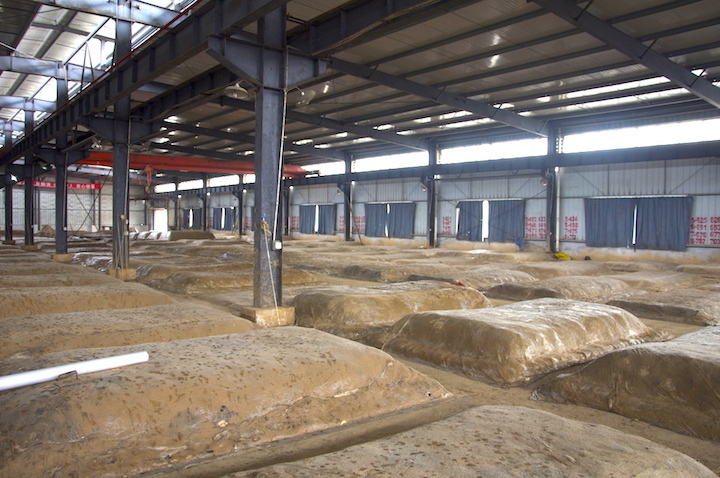 Production of strong-aroma baijiu is a laborious and time-intensive process. 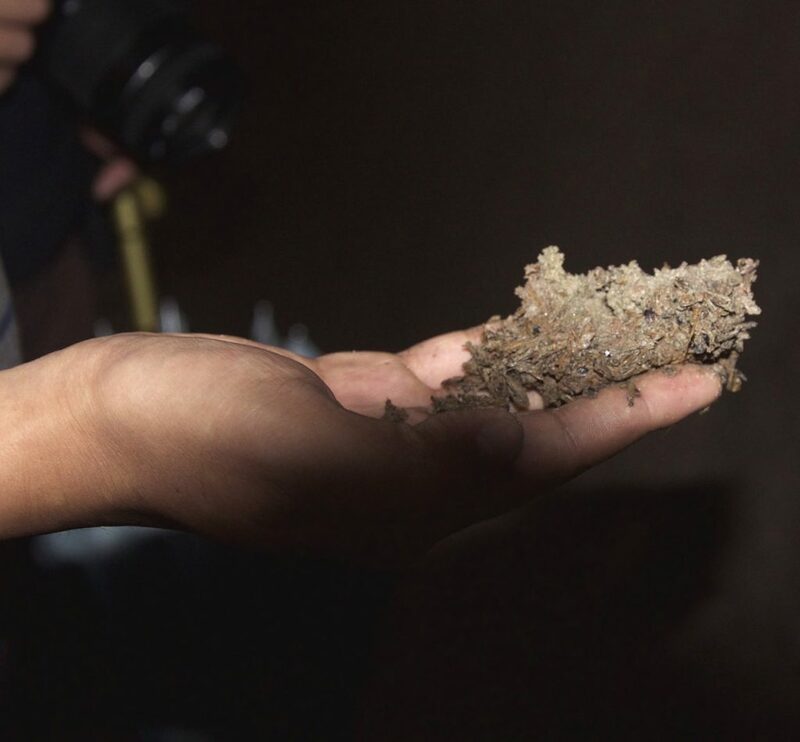 It involves fermenting grain mash in earthen pits—massive holes dug directly out of the ground—for several months at a time to develop esters, which give the drink much of its sweetness. It also uses a continuous fermentation-distillation cycle, in which most of the previous cycles mash will be recycled and fermented again in the next cycle. The more a fermentation pit is used, the more its clay walls will absorb the microorganisms found in the qu. Thus a pit’s longevity increases the complexity of flavor found within its mash. After each fermentation cycle the mash within a pit is removed in layers. 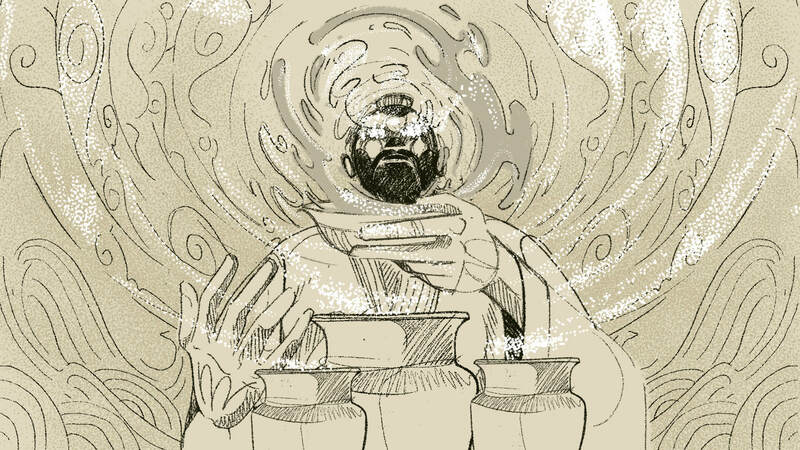 The topmost layer, which contains the lowest concentration of alcohol, is typically distilled and tossed out. An amount of fresh grain roughly equivalent to the discarded grain is added to the remaining mash, and each layer is steam distilled. All batches of distillate are aged separately. The spent mash is removed from the still and cooled. Fresh qu is added and the mash is shoveled back into the pit to ferment for another two to three months, restarting the cycle anew. Following aging, the distillates are blended together into the house style. A continuously fermented strong-aroma mash is a complex ecosystem. There are many different variations within the strong-aroma style. 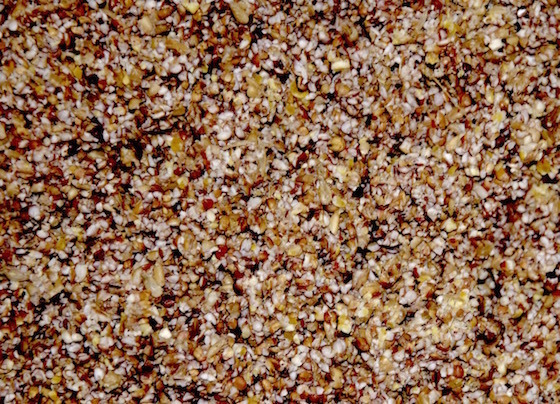 The most common difference between strong-aroma baijius is in mashbills. 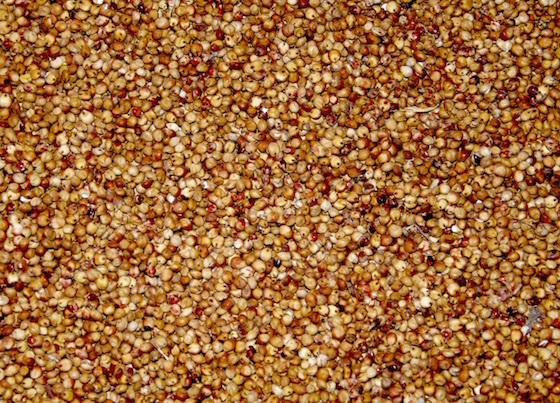 So-called “simple grain” strong aroma uses an entirely sorghum-based mash, while “complex grain” strong aroma uses a mix of grains, most commonly a blend of sorghum, rice, sticky rice, wheat and corn. Some distilleries return a mash to the same pit after distillation, while others move mashes from one pit to another. Some distilleries return the mash to the pit in the order it was removed, others reverse the order, and some mix all the layers together. None of the variants is considered to be superior to the others. It all comes down to personal taste. Sichuan Province, especially the town of Luzhou, is credited with inventing the style. The province is still the leading producer of strong-aroma baijiu (and baijiu generally), but the style is so popular that it is now produced all across China with production hubs all along the Yangtze River. The oldest known strong-aroma baijiu workshops that we know of date back to the Ming Dynasty, around the sixteenth century. But the town of Luzhou was likely was making spirits earlier than this. Alcohol distillation technology probably entered China in the 13th century by way of the Middle East, and Sichuan sits along the westernmost reaches of China. Sorghum, the most popular grain used to make China, was first popularized as a cereal crop in Sichuan around the same time, so strong-aroma baijiu may be even older than we know. 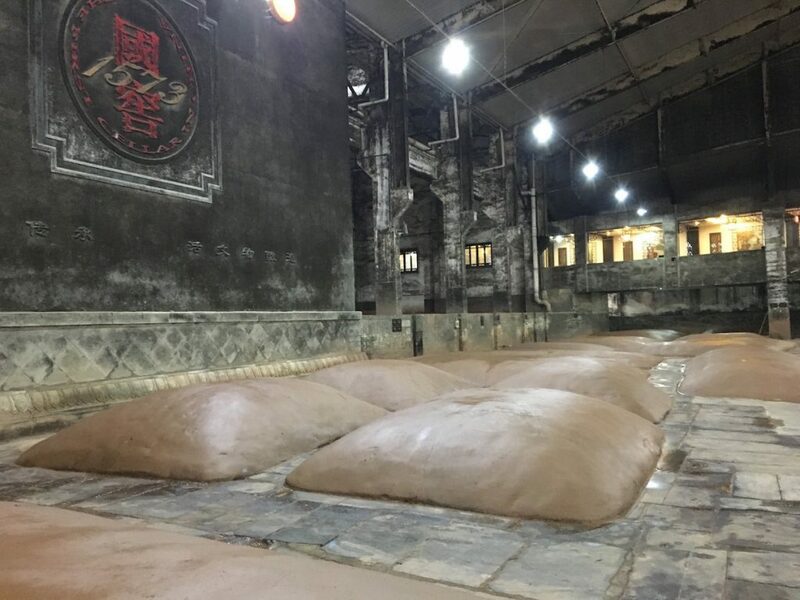 The Luzhou Laojiao Distillery in Sichuan uses the oldest continually operational fermentation pits in China, dating from 1573. Almost everyone. More than seventy percent of all the baijiu produced and consumed in China falls in the strong-aroma category. It pairs exceptionally well with the strong flavors of Chinese food, particularly the spiciness of Sichuan cuisine. Why should you drink it? If you only try a single style of baijiu, make it this one. Strong aroma is highly complex and there are wonderful expressions of it at every price point. 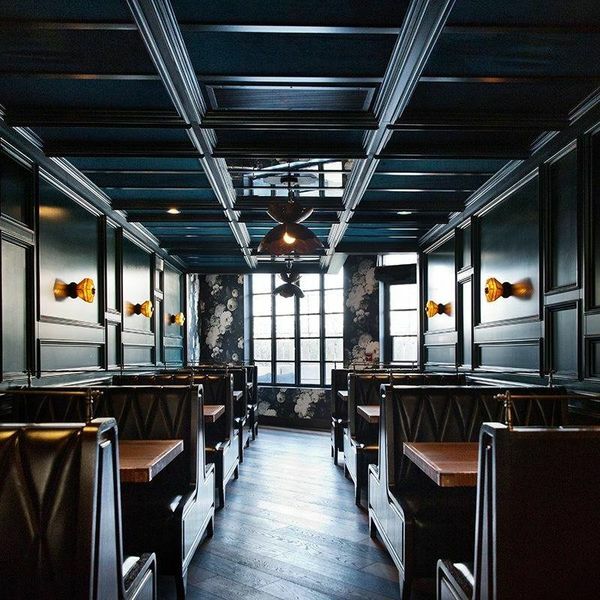 When done well, it’s great to sip neat, and even better with food. In a cocktail this drink really sets itself apart from other baijiu styles—it works well in tiki drinks, sours and spirit-forward stirred drinks, and it always adds a little something that can’t be found in other international spirits.